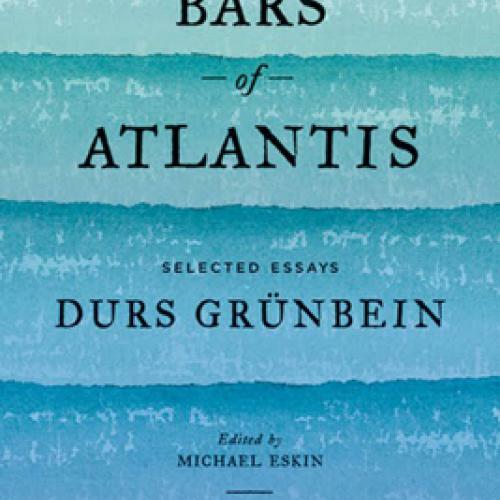 Reviewing this collection of essays by Germany's pre-eminent contemporary poet, Helen Vendler wrote that "If Yeats’s aim was to hold in a single thought reality and justice, then Grünbein’s is to hold in a single thought poetry and philosophy." This book contains my favorite quote of the year. "I don't want to frighten you," Grünbein writes slyly, "but have you ever thought about what happens to people who aren't artists?" 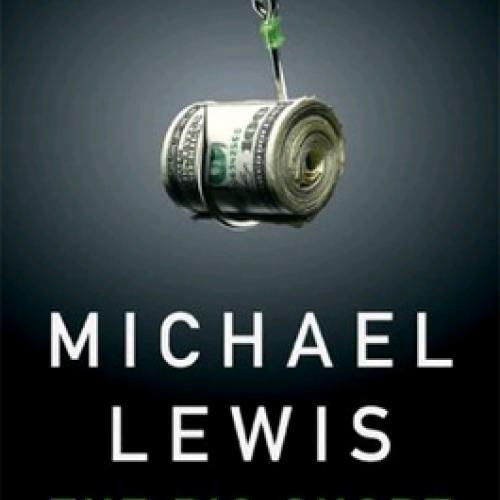 The Big Short is at once an artfully done story about some speculators who figured out that the housing boom was a huge Ponzi scheme and got very rich from selling short, and a ringing condemnation of the big Wall Street firms that got even richer off the suckers who bought and sold subprime mortgages. If you think the Obama administration was too tough on the banks—the current CW around Washington and Wall Street—and needs to appoint a CEO to replace Larry Summers, read this book. 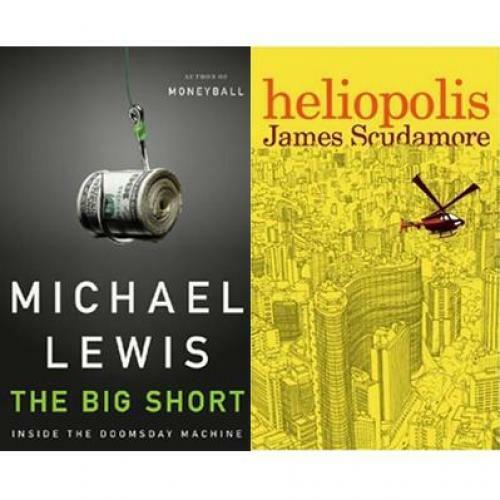 Because you have to love a writer who can make synthetic subprime mortgage bond-backed collateralized debt obligations both accessible and entertaining. Between 1933 and 1945, 14 million people were murdered in Eastern Europe. 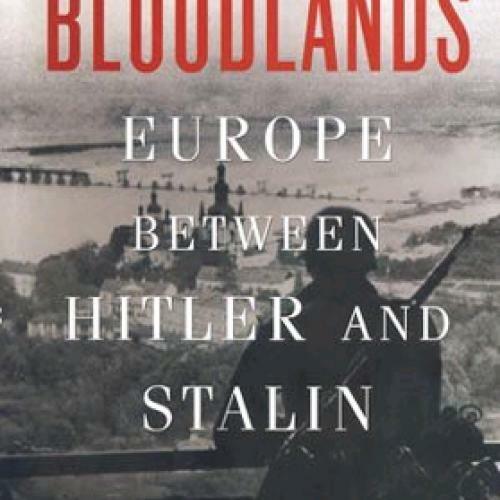 Bloodlands: Europe Between Hitler and Stalin catalogues how, where, and why these millions died. The cumulative effect makes you reconsider every aspect of modern Europe and World War II. Along the way, Snyder achieves something more vital: he wrests back some human dignity for those who died, without treating them solely as victims. 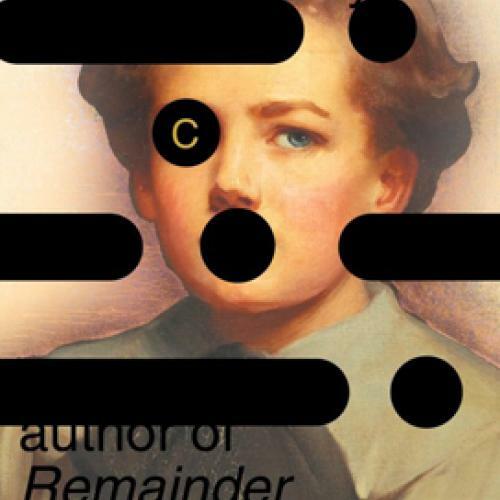 C is a weird, allusive, brilliantly visualized historical novel masquerading as an avant-garde work. McCarthy's playful pastiches of Dickens, Forster, Mann, Freud, and others, as well as his theorizing about the birth of the information age, have gotten more attention from critics than the book's real strength—its meticulously imagined set-pieces, in which McCarthy shows us what it would have been like to use an early radio set, or fly a biplane over a World War One battlefield. Jonathan Galassi’s long-awaited translation of this lonely, sensitive, asthmatic, hunch-backed, Italian genius, who died in 1837 at the age of thirty-eight, gives us poems—lyric, didactic, pastoral, historic, metaphoric, argumentative—that enlarge modern literature. 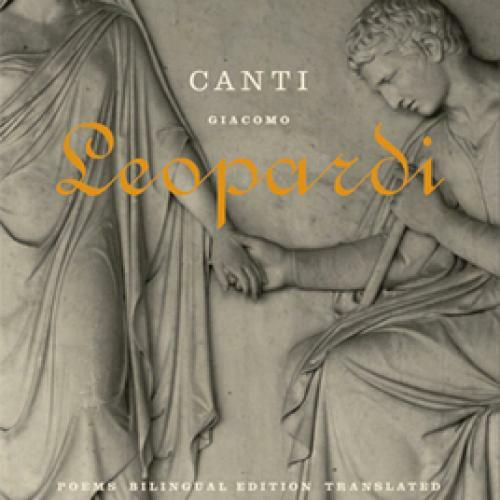 To quote Galassi: “Among the canti are the first truly modern lyrics, the wellspring of everything that follows in the European poetic tradition.” One hundred pages of notes make this an essential edition. Dickinson continues to entertain and enlighten me. 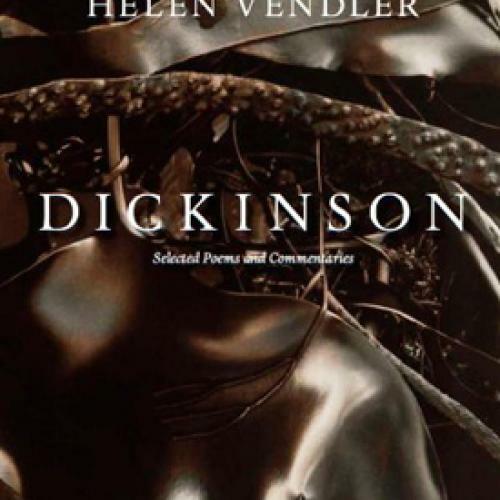 Vendler manages to clarify and illuminate Dickinson’s poetry without oversimplifying the work of a complex mind. Her succinct but astute readings of Emily Dickinson’s poetry are little kernels of insight into a wickedly keen poetic mind. This year has seen a deepening interest in the life of Sergei Diaghilev and his Ballets Russes. 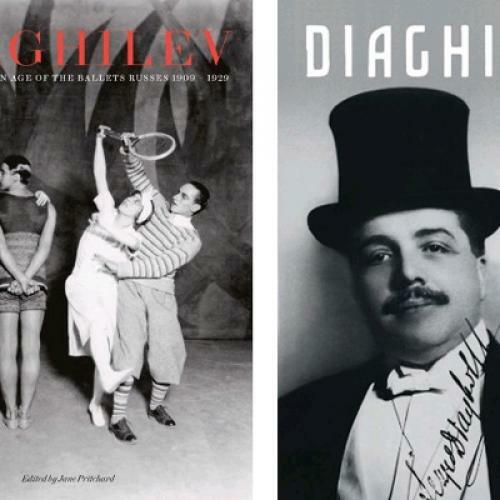 In addition to the fine exhibition “Diaghilev and the Golden Age of the Ballets Russes, 1909–1929” at London’s Victoria and Albert Museum (closes January 9th), there are two beautiful new books on the Impresario and his art. The first is the catalogue to the exhibition, which is lavishly illustrated and with strong essays on everything from costume design to the nitty-gritty dealings of dancers and artists as they worked to get ballets to the stage. The second is an engaging and lively biography written by the historian and Russianist Sjeng Scheijen, whose account of Diaghilev’s early years is particularly enlightening. I mean neither to demean Stephen Sondheim as a songwriter nor to glamorize my Uncle Tony as a carpenter when I say that I could listen all day to either of them talking about his craft. When anyone can make something complicated, can do so exceptionally well, and knows why, he or she is interesting, if not in the same way as someone who can talk more abstractly (and perhaps more penetratingly) about the thing made. Sondheim, in Finishing the Hat, discusses the lyrics to every musical of his produced between 1954 to 1981—from Saturday Night, his work of apprenticeship, through West Side Story, Sweeney Todd, and eight other shows, to Merrily We Roll Along. The book provides the complete lyrics for every production (some of the words tweaked by Sondheim for the book), along with critical annotations and discursive comments by the author. The commentary is a master class in song craft—and one often fiercely critical of the work at hand, as classes by the most exacting masters can be. 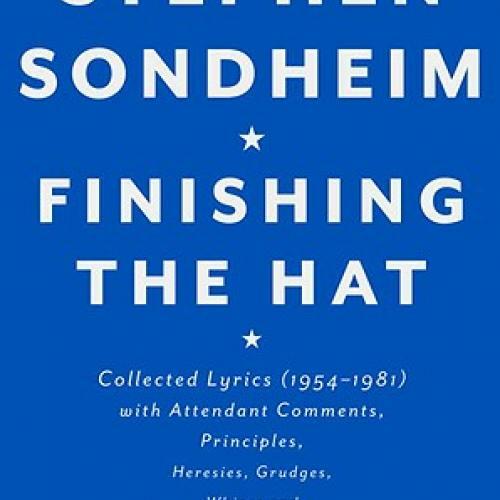 Indeed, Sondheim is so rough on himself that passages of Finishing the Hat seem almost self-punishing, and one need not find satisfaction in that fact to derive pleasure from this exhaustive and deeply instructive look at Sondheim at work. 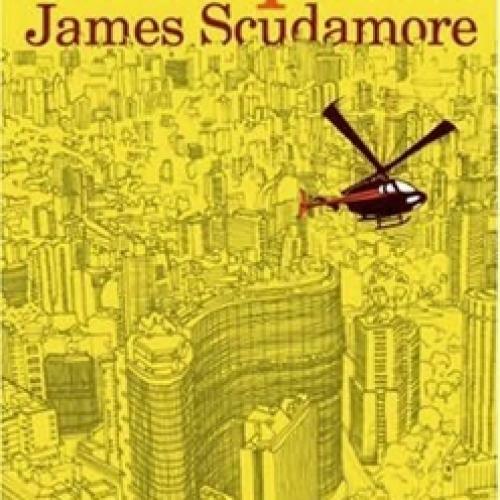 One of the books I most enjoyed this year was James Scudamore's Heliopolis (first published in January 2009, but distributed by Europa in 2010), a novel about a young man, Ludo, born in the slums of São Paulo, Brazil and thrust into high society when his mother is hired as a cook for the family of a rich businessman. In Scudamore's hands, São Paulo is one of the most interesting settings for a novel I’ve seen. It has a vaguely futuristic tint: the poor live in hot, packed favelas while the wealthy cruise overhead in helicopters, flitting between skyscrapers and their weekend countryside retreats. This is a funny, artful story that works well as both a portrait of a man and of a city, as Ludo straddles two halves of a metropolis sharply divided by class. Even as the plot ultimately settles itself a bit too tidily, Scudamore’s clever handling of personal and urban identity makes this an excellent read. I like the Rolling Stones, but I love this book. 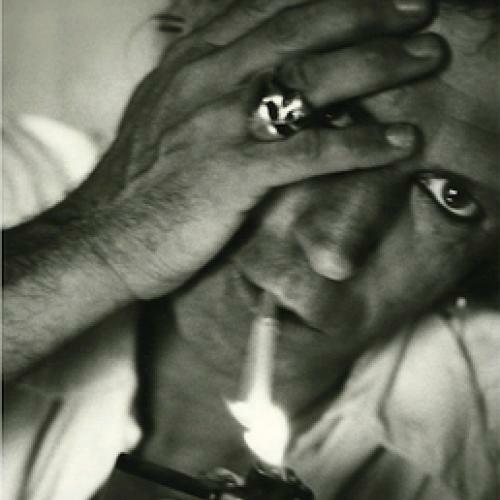 It’s a guilty-pleasure read, sure, but not an empty one as it’s full to the brim with tales of Richards’s grim and gritty childhood, the rough and tumble early years, the phenomenal later success of the Stones. (He wrote “Satisfaction” in his sleep! Read the book and you’ll see what I mean.) But the real gems of Life are not the predictable components of such an act of self-commemoration, but the surprising and moving moments that are interspersed along the way: the shock and horror of losing a son; the crushing drag of drug addiction; strange scenes from Long Island, where Richards stationed his young son and his aging father in mansion far too large for these two lost boys. In the end, it’s a story about post-war Britain, rock and roll, love affairs, and musical obsessions. If that’s not enough for you, Richards throws in a recipe for bangers and mash. 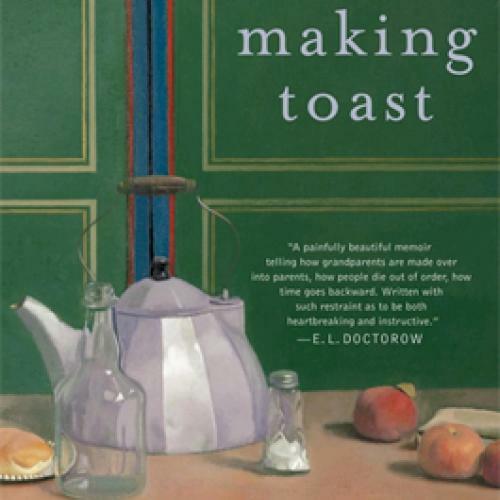 As usual, I stuck firmly to nineteenth-century literature this year, but one of the contemporary gems that stood out was Roger Rosenblatt’s Making Toast. 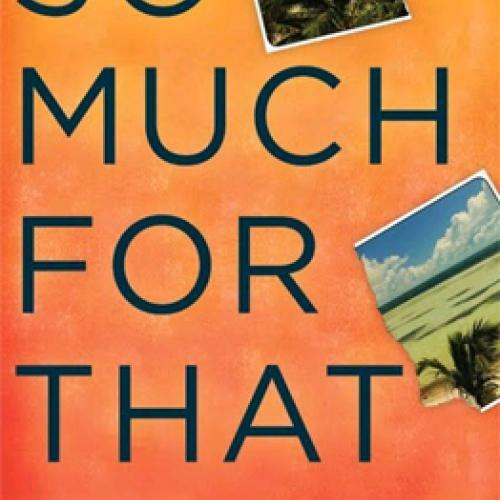 The book is everything a memoir should be—sweet and poignant, but not sappy or overreaching. A chronicle of the months following his daughter’s unexpected death, Rosenblatt eloquently expresses the out-of-time emotions that accompany a devastating loss. It’s a quick read that leaves a lasting mark. 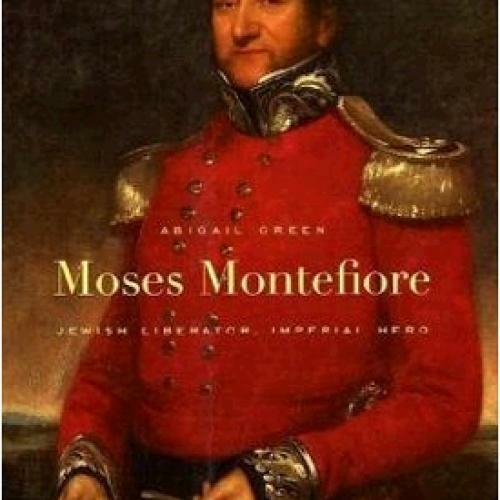 In writing the biography of Moses Montefiore—the Victorian philanthropist whose missions on behalf of persecuted Jews took him to Damascus, Morocco, Romania, and beyond—Abigail Green has also written an important new chapter in modern Jewish history. Green shows how Montefiore's role as ambassador-at-large for Jewish causes catalyzed a new, international Jewish consciousness, and how his many trips to Palestine helped create the conditions for the birth of Zionism. In no small part thanks to Montefiore's efforts, the way nations treated their Jewish minorities became a barometer of civilization in the nineteenth century, before the rise of ideological anti-Semitism changed Montefiore's Europe beyond recognition. 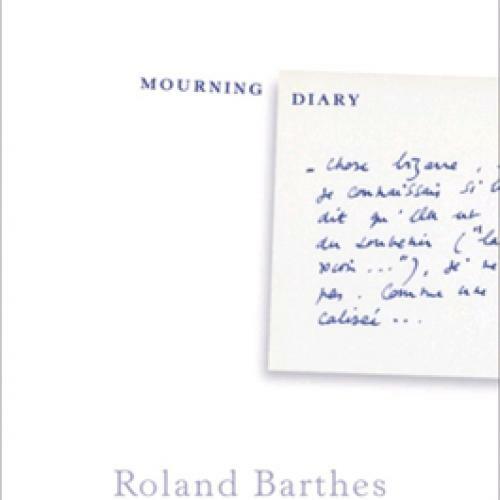 I love this sad, gentle, intelligent little book of grieving written in October 1977 after Barthes’ mother died. Though called a diary, it’s more like a long lyric sequence giving an intimate X-ray of loss. The excellent translator, Richard Howard, has given us a fragmentary masterpiece. Of all the novels I read this year, this was the one that I read most eagerly, consuming it in eager gulps, dismissing other obligations. (And, yes, I did read the famously readable Freedom.) 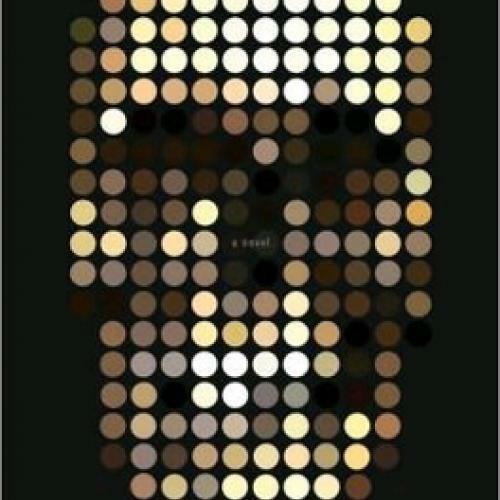 Adam Ross’s debut novel starts with a murder and has been called a thriller, but it’s as much about love and marriage as it is about violent events, and there is nothing conventional about its structure or language, which draw from real-life crime, video games, and M. C. Escher. At times, the twists and turns are a bit fanciful, but this was a novel that excited me far more often than it disappointed me. It’s a remarkable book that achieves some spectacular highs. I will be following this writer. Jackson's belated and much-deserved induction into the Library of America was one of the important literary events of the year. 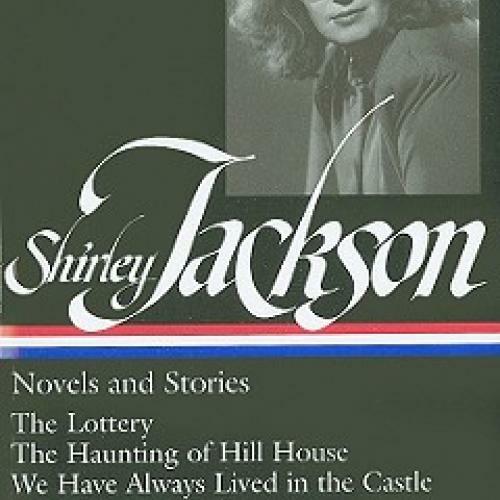 The revelation of this collection, for me, was the juxtaposition of Jackson's well-known psychological horror novel The Haunting of Hill House with her humorous short stories about her life as a wife and mother, signaling the dark undercurrents beneath domestic life. Philip Jodido is one of the most prolific authors of architecture picture-book compendiums, and he is also among the most reliable. 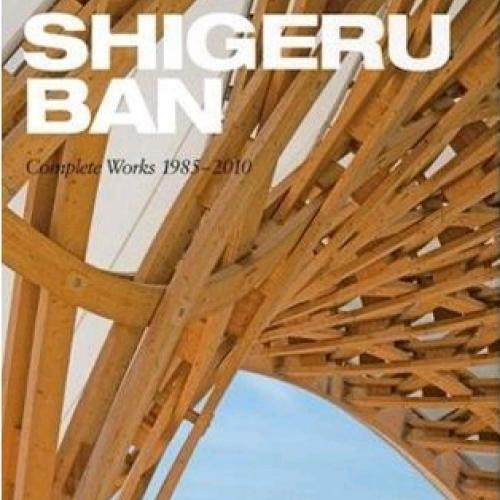 This book, magnificently produced by the art book publisher Taschen, tops my list less because of Jodido’s writing, incisive but honing close to building descriptions and biographical narrative, than its subject, the Japanese architect Shigeru Ban. Ban’s justly deserved international celebrity rests on elegant formal innovation, often in unusual and sustainable materials, demonstrating his profound conviction that architecture can be artistically inspiring while meeting the real world needs of people, even of the most needy. Ban entered the international limelight with his disaster relief emergency housing for the United Nations High Commissioner for Refugees in Rwanda, where he used recycled or recyclable cardboard tubing for structural skeletons. Subsequently, he went on to produce elegant and thought-provoking designs for all manner of architectural programs in all manner of architectural materials. New Yorkers may remember his celebrated Nomadic Museum, a traveling museum in which disused shipping containers, steel wire, and cardboard tubing were assembled into a breathtaking exhibition space that evoked the otherworldliness of a gothic cathedral. If Ban’s not a finalist for this year’s Pritzker Prize, he should be. 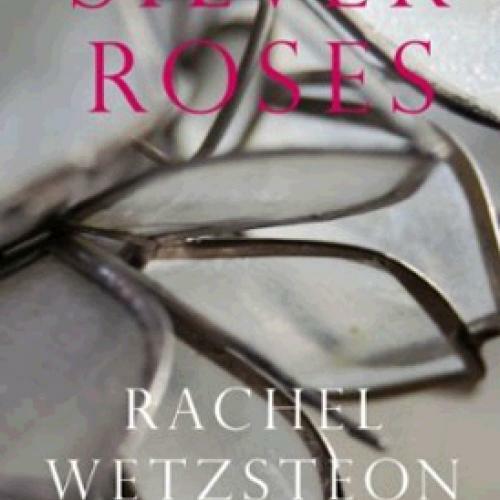 Silver Roses is the fourth and presumably last collection of poems by the late Rachel Wetzsteon, TNR’s former poetry editor, and it contains some of her best writing. These deftly formal lyrics about melancholy, loneliness, and hope are always intelligent and always moving—a reminder of how much was lost with her passing. I am a loyal fan of McEwan, so I sat down with this book the week it was released—and didn’t really get up until I finished it. 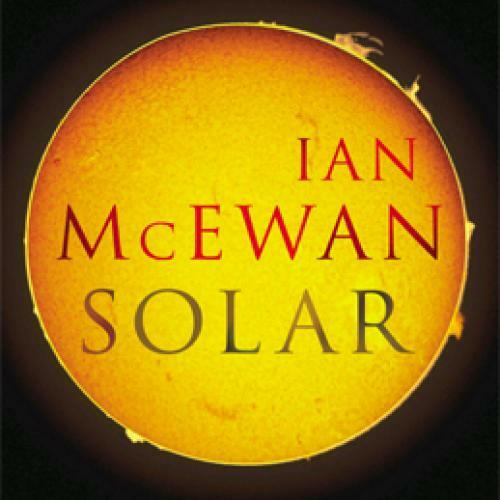 While far from the author’s best work, Solar was still an engrossing read. It has been called McEwan’s “funniest novel,” which is true, as he delves into comedy more overtly than he ever has. And yet, true to form, McEwan also delivers heavy doses of darker themes: misanthropy, disgust, doom, claustrophobia, anger, fear, self-loathing. He also makes his signature interest in the sciences (best-applied with the Dr. Perowne character, a surgeon, in Saturday) a more central aspect of the book. (In this case, McEwan examines climate change.) While the ending left me somewhat unsatisfied—it was too much all at once—several points along the way were masterful. And so, I remain a McEwan devotee. 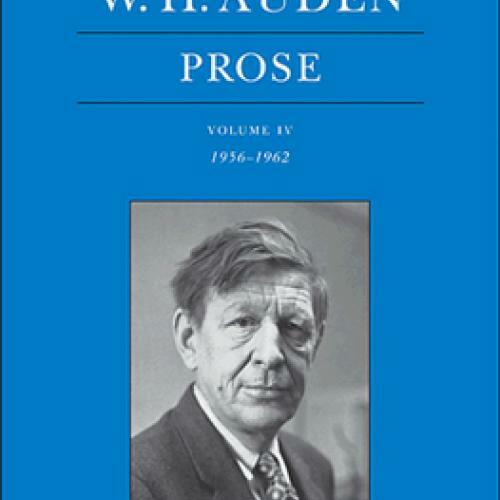 For anybody who admires the easygoing, speculative spirit of a great poet’s prose, the ongoing publication of W. H. Auden’s complete prose has been cause for celebration. We’re in the presence of a master wordsmith who’s letting his hair down, who’s happy to appear before his readers in an informal, loose-limbed, what-the-hell mood. “The mating of minds,” he announces at the beginning of a review of the letters of Strauss and Hofmannsthal, “is, surely, quite as fascinating a relationship as the mating of the sexes, yet how little attention novelists have paid to it.” Auden’s mind moves from workmanlike journalistic exposition to boldly personal assertions with such speed that a reader can feel a little dazed—happily dazed. In a review of Aubrey’s Brief Lives, he argues that “The notion of endurance has become so foreign to our thinking that a work of art which is clearly intended to endure strikes us as arrogant and boring.” Auden certainly created works of art that were engineered to endure. As for his collected prose, its endurance is of an altogether different variety, an unpremeditated endurance, an intellectual spirit so lively as to defy death. David Grossman’s To the End of the Land, elegantly translated by Jessica Cohen, is a beautiful book. It follows an Israeli mother, Ora, who sets out on a long trek through the Galilee hills in order to stave off potential bad news about her soldier son. Along the way, she tells the story of her son’s life, as if narrating small memories could somehow keep him safe. The sensitive details of Ora’s descriptions give the novel much of its emotional force and Grossman inhabits the voice of a mother so fully that, in the end, I was startled to remember that the writer was a man. 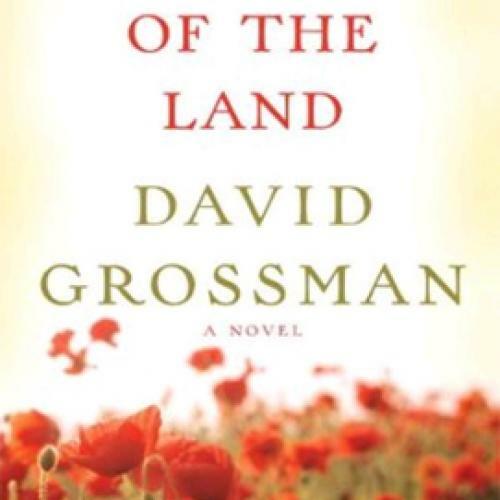 In a postscript, we learn that Grossman’s own son died while serving in the Israeli army before the novel was finished. But even without this tragic parallel, To the End of the Land is one of the most affecting and poignant novels I’ve read. This could be Walcott’s best book, published in his eightieth year. I wish the poem “Forty Acres” had been read at Barack Obama’s inauguration. The sea that brings everything into life, and then takes it back, is the backdrop for this collection of short poems and lyric sequences full of pity, forgiveness, and regret. 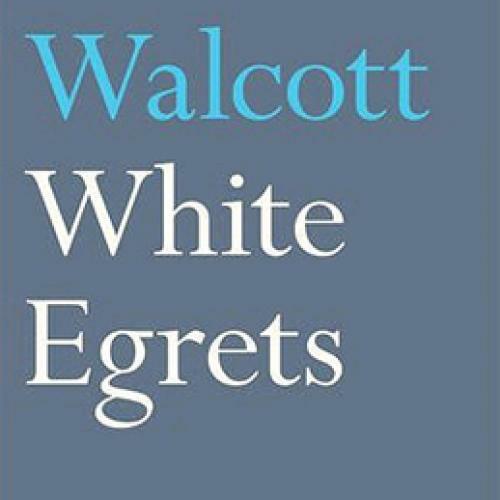 The elegant impeccable white egret “plucking up wriggling insects” is Walcott’s symbol for the place “beyond desires” where we all hope to arrive eventually.